Here are my top recommendations to get your skin Spring Ready! This wash dissolves sebum and dead skin cells to reveal a brighter, firmer complexion. Pure African black soap (in its raw powder form) targets acne-causing bacteria, tightens pores and smoothes fine lines. 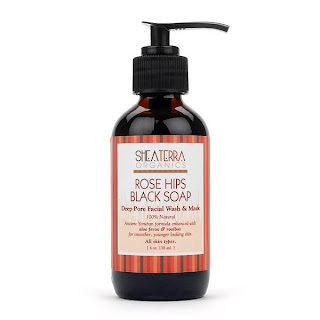 Meanwhile, rose hip oil protects moisture levels and the fruit kigelia Africana adds in its antiseptic benefits. $18, 4oz. This almost has a smokey smell to it and you can see very very fine grains in this dark black soap. It almost looks like tar. 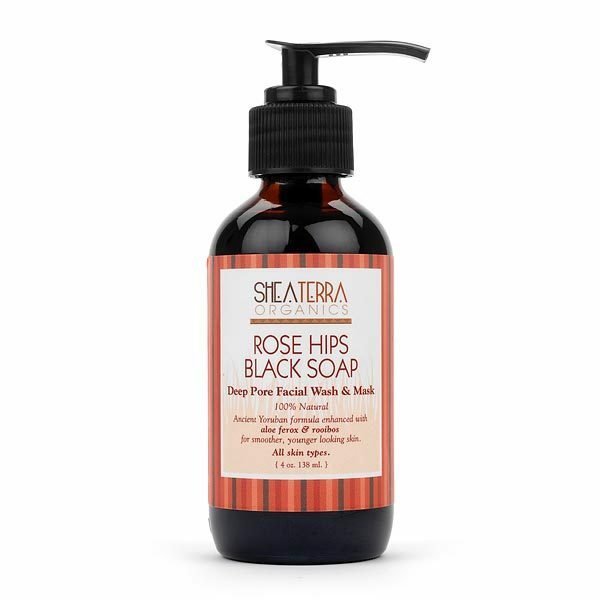 I've also tried a different version Shea Terra's Black Soap which of course I can't find the product name anymore, but I think it had some citrus in it. I'm a huge fan of all Shea Terra, including a toner I tried. This gets your skin super clean, as in squeaky clean and is the perfect detox for getting your skin Spring ready! This toner is alcohol-free and pH balancing. CoQ10, found in almost every cell in the body, is a powerful, all natural antioxidant that is essential to the health of your skin. 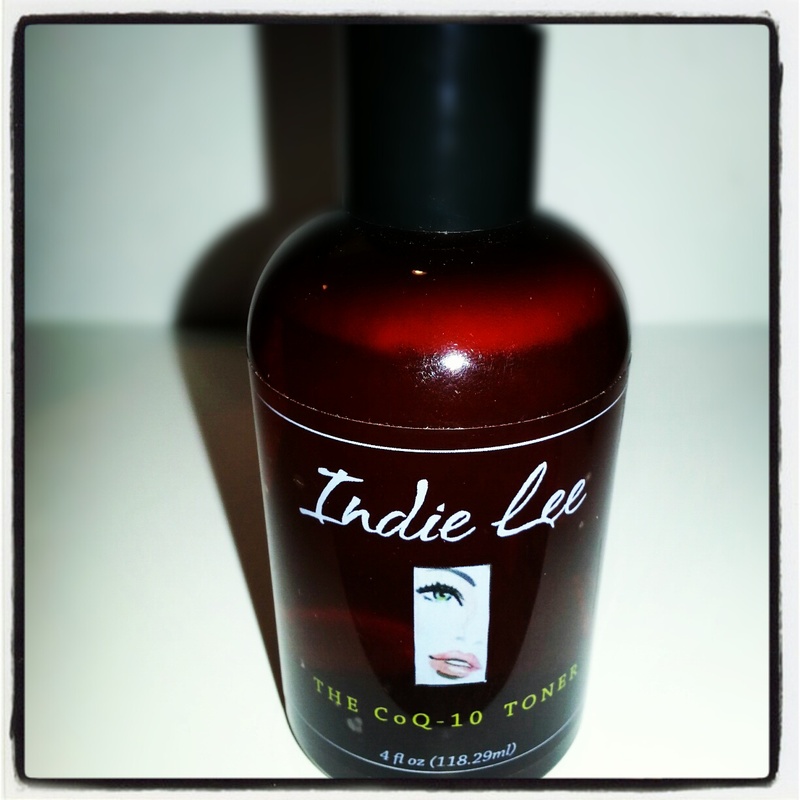 By combining it with natural extracts, Aloe Vera and Hyaluronic Acid, Indie has created a non-toxic toner that moistuizes and protects. Recommended for use on normal to dry skin. Retails $28.00. This is a new product to Indie Lee's line. If you've read my blog before, you know I'm a huge fan of her and her products. This right now is only avaialble for exclusive pre-sale on the website Open Sky (which I love) and is recommended by Molly Sims. I haven't tried this extensively yet, but it comes out in a lightweight slightly yellow liquid consistency that seems to get your skin really clean. This seems gentle enough for daily use and is suppose to help with wrinkles, reduce pore size and protect your skin. Lift out any stubborn dirt and oil with the ultimate antidote to clogged pores and blackheads. The perfect final step to your cleansing ritual, the hard-working, oil-free pore strips remove deep-down dirt in just one use for a clear complexion. Tea tree oil cleanses skin and rids pores of bacteria as witch hazel reduces redness and inflammation. Menthol minimizes redness and provides a tingling cooling sensation that signals a deep clean. ($9.99 for 14 strips). I am always careful when I use these so as to not cause any damage to my pores but these are the quickest most efficient way to get those darn blackheads off of your nose and chin. Instant gratification! Soothe And Calm Irritated Skin. Soothing Azulene, a Chamomile Extract, along with Balsam Peru, a natural anti-inflammatory ingredient, come together in this non-hardening mask that comforts irritated, red, and very sensitive skin types. Also made with Kaolin (clay) and Wheat Starch to absorb impurities in the pores. Best when followed up with our Control Cream. 2oz, $18. What is Spring worthy skin without an awesome facial mask? 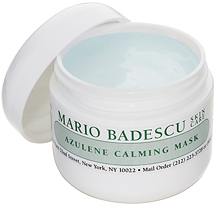 I'm loving my Mario Badescu mask. This comes out in thicker blue consistency and feels nice and cooling on the skin. It dries so you can see your pores in it and it is easily removed. When I use this in combination with the below serum, my skin looks and feels absolutely amazing. Antioxidant Vitamin C protects skin from free radicals and is essential in collagen production. This Vitamin C Serum contains 7.5% Ascorbic Acid (Vitamin C) to reduce discoloration and brighten skin. Formulated with Hyaluronic Acid to retain skin's natural moisture and Collagen to enhance skin's firmness and elasticity. $45, 1oz. This has a stronger scent to it, almost medicinal. I'm a sensitive sniffer kind of person, but this doesn't bother me at all . You would just think it would have a citrus scent to it with the Vitamin C and packaging, but it doesn't. This is a lightweight crystal clear serum that sinks into my skin immediately Its so moisturizing I barely need to put much moisturizer over. I like topping this with Mario Badescu's Control Cream to even out redness and skintone. This rich, nourishing balm for the eye area visibly diminishes signs of aging, while decreasing the appearance of puffiness and dark circles. Alguronic Acid combined with vitamin C, caffeine, as well as cucumber, aloe and green tea extracts help minimize the appearance of fine lines and wrinkles around the eyes and keep the eye area nourished and hydrated for a recharged and rejuvenated appearance. $65, .5oz. This has a really rich cream color and consistency to it, but it applies really nicely onto the eye area. 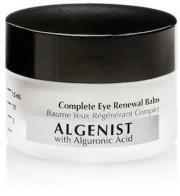 This seems to work really great for dark circles and puffiness. Unfortunately some of the fine lines under my eyes haven't magically disappeared, but I'm only about 1/3 into the jar. I also find this really moisturizing which is so important for this sensitive under eye area. I want my eyes to look the best in Spring since I don't want to wear any heavy foundation or concealer! This robust drying lotion treats acne, reducing the redness and irritation of blemishes. An overnight treatment. So this is pretty much one of the coolest products ever. The bottom layer is a pink powder which appears to remain a powder even in a bottle with liquid in it. You dip your q-tip into the solution down to the bottom where the pink powder is and when you bring this up through the clear liquid, it acquires a paste like consistency I love this for drying pimples right up and its safe for you as are all of Indie Lee's products! Double score! I could never get a good picture to show how cool this really is! This is my second time around trying out this razor. This time, I got it for free for being a BzzAgent. I really love this razor and see no need to ever change! 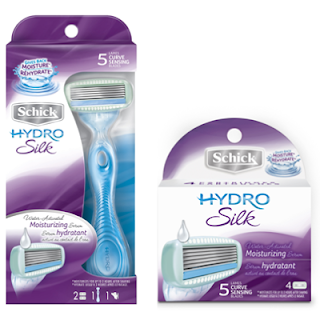 I use this in conjunction with my Chicstix Shaving Wand (below). Getting your legs ready for shorts is obviously an important part of getting Spring ready! With the gud lotion, this razor and the shave stick below, I think there will be some gorgeous looking legs out there! About: Fresh and fragrant but light and never overpowering. A fruity fragrance with an ancient history. A faster, easier way to shave with nothing to lose but the mess of foams and creams. Trade in your traditional shave cream for this premium, supremely moisturizing and perfectly lubricating formula. An easier way to shave. CHICSTIX shaving wand is a cleaner, faster alternative to traditional shaving creams. $9. So, there you have it! 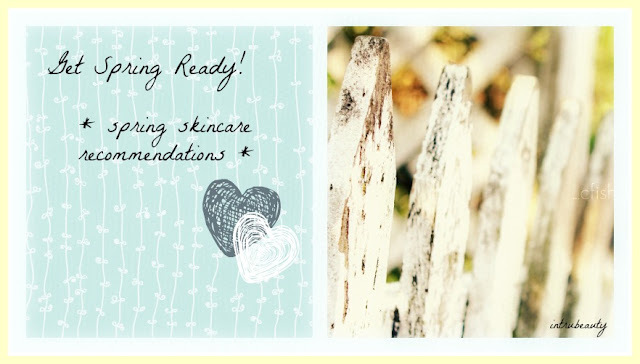 Here are my best recommendations to get your skin out of its winter rut and ready for the sunshine and outdoor activities of Spring. Its kind of hard to picture at this moment as it is still snowing here! Yikes! But I write this in optimistic hope that I will soon be able to show off my Spring Ready Skin! What is your favorite product to get ready for spring? Also, don't forget to follow me on facebook! I am on a constant search to find the right beauty products. I love all your recommendations. Have you tried any of the Airelle skin line? Their products use all natural ingredients and antioxidants. They are one of my new favorites. My skin has never felt in better shape. Each time I put it on it feels smoother and more vibrant. Nice post, made a good read. your new follower top skin care products for women.